Want to start your own project but need some inspiration? 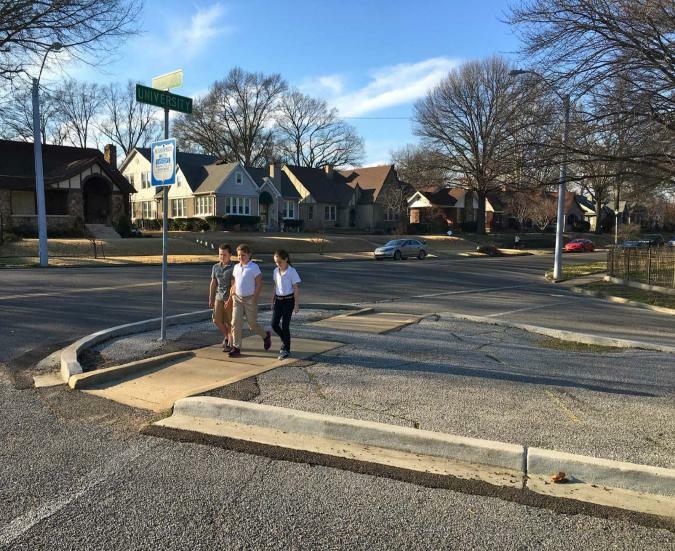 Our new “Learn from a Leader” page profiles past ioby Leaders who succeeded in bringing more fresh food, active transport, green spaces, and other improvements to their neighborhoods. Read on, and imagine what you could do on your block! This is how Kaela Geschke, a community organizer with economic development organization Campus District, and one of the organizers of A Bridge that Bridges, describes the context and impetus for her project. “We brought people together to help unite these two neighborhoods,” she says. 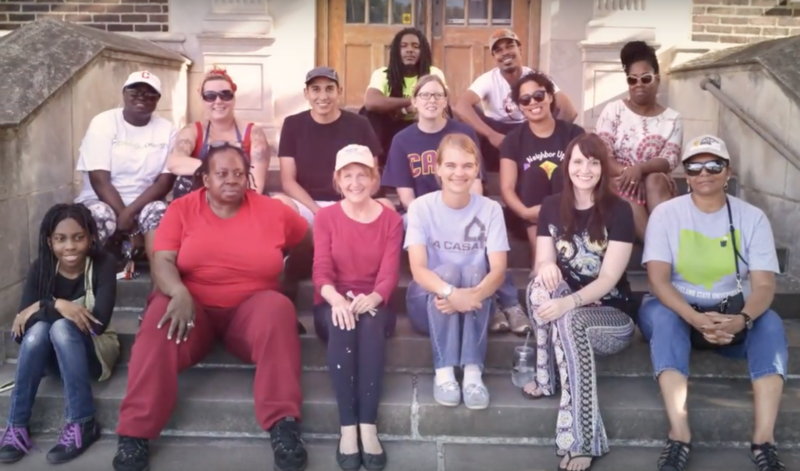 The group convened a diverse cohort of about 15 neighbors from both sides of I-90 to meet and talk openly about race and racism in their communities, every two weeks for six months. Their discussions culminated in their co-designing and painting a mural on a bridge that spans the highway. The now-colorful wall illustrates these Clevelanders’ intention for a more equal and integrated future. Reach out and recruit. Intentionally invite diverse individuals to form your discussion group. Aim for people you think might be interested in having frank conversations about race (extra points if they’re also into public art). We reached out to community leaders, university professors, hospital staff, the public housing advisory council, nonprofits, churches, neighborhood associations—even the police force. The personal touch is always best: contact people directly (we also flyered, but I don’t think that generated too much interest). We wound up with about 15 participants, plus a lead mural artist (who we paid to bring all the design elements together), and a couple of facilitators. Having the same people commit to being present every two weeks allowed for great openness and connection. Prep your meetings for safety and success. Some difficult conversations are going to take place in your meetings, so do your best to prepare an environment where people can feel comfortable and productive speaking openly about sensitive issues. We did things like offer food and play music every time we met; sit in a circle; have facilitators run the show; and lay out some ground rules on the first day. Those were things like speaking from our own experience (not things we had only heard), acknowledging that there are multiple realities (ie: mine can be different from yours), being present (no phones! ), listening to each other, disagreeing respectfully, and asking questions instead of assuming when you don’t know something. “No cross-talking” was probably our biggest rule, along with “share the air”—make sure you’re aware of how much you’re speaking versus others. We also just said, “Take care of each other.” As for discussion content, we really tried to delve into multiple layers and angles of racism: the racialized history of these neighborhoods; structural and societal racism; and people’s intra- and inter-personal experiences involving race. Sharing stories in all these areas really brought our group together. The nuts and bolts: planning, funding, and permissions. This phase could start earlier or later depending on factors like how long you want to host your discussions, where you want to paint your mural (public or private property), if you’ll want to close any streets for painting and/or celebrating, etc. If you’re seeking permission from the property owner or need any permits, start those balls rolling as far in advance as you can—but be able to demonstrate a draft design and backing from the community to bolster your case. And get going on your fundraising tasks early, too: especially securing in-kind donations and discounts on paint and other art supplies. Also plot out your painting setup and ascertain the amenities you’ll need: bottled water for volunteers, drop cloths to catch runny paint, and running water so you can wash your brushes, for example. Design together. We designed our mural partially by talking and partially by drawing. During some of our discussions, we broke out into small groups so people could contribute based on their abilities and interests: some sketched their vision of the whole thing, some drew individual portraits, some picked out the color palette, some chose words to paint… Some people who didn’t feel as artsy helped us plan our opening party. We just wanted everyone to play some kind of part so they could feel responsible for the finished product. Splitting people up was also a handy division of labor! If you want to express a real message with your mural, as we did, it’s good to let a trained artist take the lead on making the actual outlines on the wall: this will keep the visual messaging clear, and give everyone else a guideline to follow. Co-create and celebrate! Invite your community to participate in your painting days and attend your opening celebration with enough advance warning that they can plan to come. Invite the media to come out, too, to help you spread the word. Invite your funders, of course! Provide music and food to all. 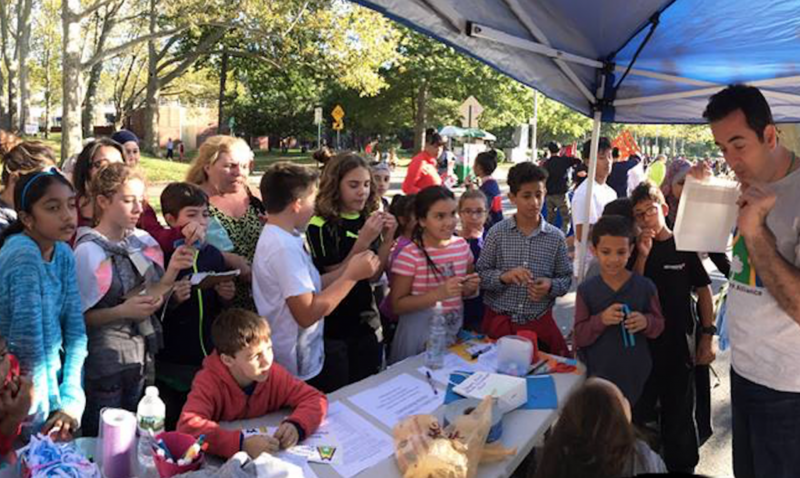 A few hundred people attended our events—including a councilwoman who thought she would just be observing, but who we successfully cajoled into painting with us! – We conducted our outreach in January and February, and started taking applications for group participants in March. We held our twice-weekly sessions through the spring and summer, and did the painting in July and August. – Seasonality matters when you’re painting, at least in Ohio! If it’s too cold, the paint won’t dry properly, so you need to plan to wrap up by fall. – Our budget was around $10K altogether. – We got a $5K grant from a local public art funder and raised the rest through our ioby campaign and a fundraiser through a local foundation. Providing food at every meeting. You could save money by doing potluck style instead, but when you’re asking people for a lot of their time, it’s nice to give them something to make their lives easier. Our opening party cost about $2K. You could do it cheaper, but we had a stage, a choir, food vendor vouchers for people coming from public housing… We did it up! Drop me a line! I’m planning to package a lot of this information in a way that others can use, but until then, please feel free to get in touch at kgeschke@campusdistrict.org and I’ll try to answer any questions. If you don’t know who owns the property you want to paint your mural on, find out! In Cleveland, your first stop can be the Cuyahoga County Property Information website. If you want to host dialogues around race and racism, check out the Racial Equity Institute’s reading list. It’s great for independent background research as well as generating group discussion topics. Another good contextualizing resource is “White Privilege: Unpacking the Invisible Knapsack” by Peggy McIntosh. Our Concentric Circle Activity provides a structure for participants to discuss issues concerning identity, personal bias, prejudice, and discrimination. Our Acceptance Package provides a timeline and expectations for new participants. 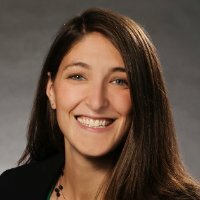 Kaela Geschke is a community connector and program developer. Her passion for community development has driven her world travels and allowed her to work alongside diverse groups of people—ranging from advocacy with Native women in Alaska to program development in Northern Uganda and civic engagement with adolescents in Chicago—before returning to her hometown of Cleveland to engage in neighborhood-based community organizing. Inspired? Start your own project! “This is the story of a park and its river, and the people who share that space,” says Martha Lopez-Gilpin, one of the leaders of a years-long initiative to make Queens’ Astoria Park the best resource it can be for nearby residents. “It’s one of the greatest natural features of NYC that Astoria Park sits on a waterfront and is available to the public,” she says. Founded in the early 1900s in what was then a largely industrial area, the park gave people vital access to the water—even, in those days, for bathing! As time went on, the area underwent many changes, both physical and cultural: a seawall was built; Shore Boulevard went from being a dirt road that connected farms to a major two-way street that divided the park from the river. Park users’ relationship to the area evolved by turns. 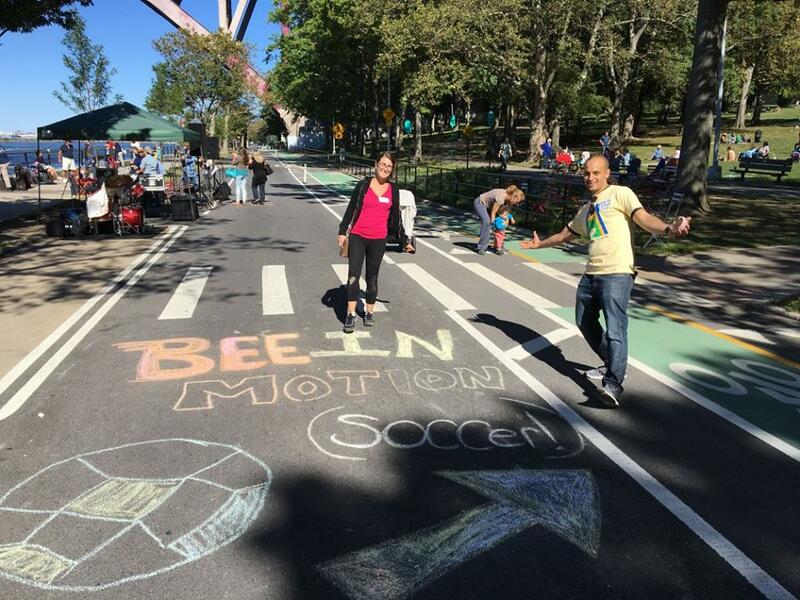 When Martha and other ioby volunteers started advocating for car-free programming at the park’s annual Shore Fest, they saw themselves as links in the long chain of the park’s storied history. Watch & listen. We always watched how people used the park, and we listened to what they said about how they used it. The Department of Transportation [DOT] started a Weekend Walks program around 2008. At that time, Shore Boulevard was nicknamed “The Strip”—it was a two-way street with a big car presence: exhaust, difficult pedestrian crossings, a lot of cruising… With Weekend Walks, we knew the ability existed to close the street to traffic and reenvision how it could be used. So we advocated for a car-free stretch of several days to see how people would use it without cars. We watched closely to see how it went and what folks said and did in response. Forge partnerships. To help us realize the best car-free programming we could, we partnered with existing organizations who had established relationships with the park and its users: Astoria Park Alliance, Green Shores NYC, Big Reuse (which was then called Build it Green), our local community development corporation… We said to them: “We’re all interested in an environmental situation here that’s friendlier toward park users and human beings at large.” They understood, empathized, and really helped us realize our vision. Stay connected & reach out. We also got help planning our programming from park neighbors. People came to us with ideas and fully-fledged plans, which was wonderful not only because we wanted this to stay a community-centered project, but also because we didn’t have the money to hire big names! We started from the premise that there should be no vendors at Shore Fest—just educational activities, live music, fitness programs, fireworks, and the like—and that’s served us well. We asked our volunteers what events they liked and wanted to see, and we always fed them (though we couldn’t pay them!). We reached out to our elected and appointed officials and our community board, and they started coming to Shore Fest as citizens and saw what we were doing. All of this helped us turn the event from something people were skeptical about into something they were excited about. It turned into a very loving situation. Love & grit. In advocacy, you have to have both. Not everybody is going to love your idea. We got plenty of criticism! But we welcomed dissent because you have to include people whose views are not your own: that’s democracy. We let the discussion evolve and people eventually concluded—after seeing what was possible at Shore Fest—that Shore Boulevard being a two-way street was unsafe, and that the bike path there was unsatisfactory. So together we advocated for making the street one-way and putting a new bike path right on it. We used that grit for years with DOT, and in 2015 they finally made Shore Boulevard one-way, with a two-way bike lane on it, and also improved many of the pedestrian crossings. We had to make some compromises when it came to parking spaces, but from working with the city, I know that every parking spot here is a point of negotiation! That was the reality we had to face, and that was okay. Look ahead & honor the legacy. Astoria Park was designated an Anchor Park in 2016, which earned it $30 million in funding. Now, we’re continuing to discuss what people would like to see and do here in light of his new money: for example, we’ve heard repeatedly that people want easier access to the water. Well, what would that look like? How could we do it safely? And as population density in Astoria grows, the city is looking into expanding its ferry system and instituting a trolley. As we look ahead, we don’t know how these things will manifest, how they’ll affect the next 50 years of park usage. It’s all an evolving process that we’re honored to be a part of. Time of year: Shore Fest originally took place in August, but a couple of years ago we migrated into September because it was getting too hot. Don’t be afraid to modify your seasonal timing if you notice people are too hot, too cold, etc. Don’t just soldier on; there’s no need! Amount of time: When working with city agencies, you really have to be a happy warrior. For us to see a two-way street made into a one-way with a protected bike lane, it took seven years. And that’s okay! Just know that going in. A lot of people give up, but watching and listening, and seeing how things evolve, and reminding yourself that compromise is possible and necessary will make it easier to be patient. If you’re trying for a one-time weekend street closure, start a year out. Then you can see what develops and take it from there. – Our budget has fluctuated from $2,500 – $10,000 per event. – Crucial to getting things done is securing lots of in-kind donations: volunteer hours, material and food donations… We get $2,000 – $4,000 in in-kind donations for every event, and they make a huge difference. Do not take them for granted! – The main costs for us have been things like stage rental, porta potties, tents, tables, generators, and amplification systems. Reach out to local people and organizations to see if you can borrow any of these items, and be sure to ask about a nonprofit/community event discount when you go shopping! – In addition to Weekend Walks-type events, you can get inspiration from checking out related initiatives like pedestrian plazas and Vision Zero (NYC’s action plan for ending traffic deaths and injuries on city streets). – People are always reinventing the “car free” idea. Search around for groups in your area that have done a project like this and ask them to share their advice. Martha Lopez-Gilpin was born and raised in Santa Fe, New Mexico, the Land of Enchantment. She received a BFA from the University of New Mexico and an MFA from Mason Gross School of the Arts, Rutgers University. She and her husband Michael are professional actors. Martha is a founding member of Astoria Park Alliance with Jules Corkery, Kim Waber, and Claire Doyle. Want to start your own project but need some inspiration? Our new “Learn from a Leader” page includes videos and blog series, profiling past ioby Leaders who succeeded in bringing more fresh food, active transport, green spaces, and other healthy improvements to their neighborhoods. Read on, and imagine what you could do on your block! 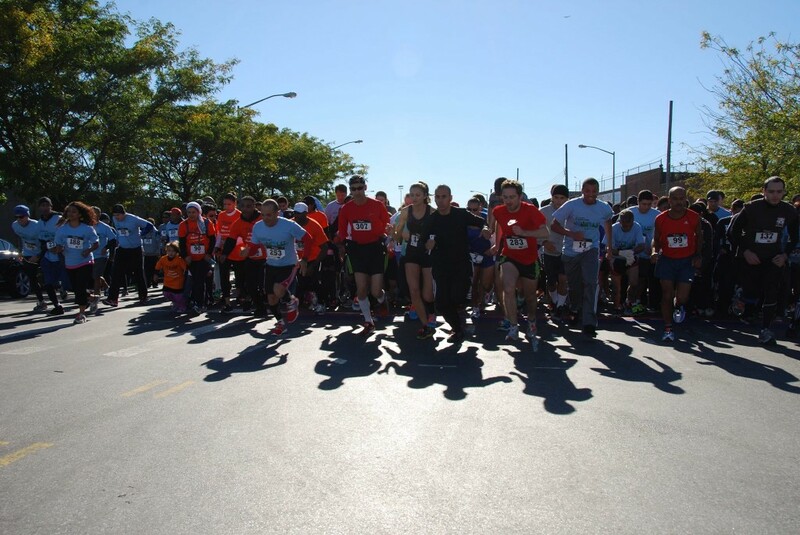 The Hunts Point Hustle is a 5K run/walk that gets people outside to celebrate this South Bronx neighborhood’s green spaces—and call attention to residents’ desire for more—while raising money for local green jobs training. For the tenth consecutive year, the event was hosted by Sustainable South Bronx, which works in partnership with its parent organization The HOPE Program to provide education, training, and job placement to NYC residents, largely in sustainable construction and building maintenance. The 2016 Hustle took place on Saturday, October 1. Brainstorm. You want to plan an event that will fulfill the needs of your neighborhood, constituents, and funders, so think about their goals as you brainstorm: Why would they be interested in what you’re trying to do? Then articulate your idea clearly, and write out a compelling case about what you’re fundraising for. Be realistic, succinct, and inspiring as you answer questions like: Why should anyone care about this? Why should they give? Permits & partnerships. Any big event like this involving hundreds of people and street closures will require a parade permit and the partnership of your city’s police and probably parks departments. Our local police precinct had been involved with the Hustle before, and they were very helpful with giving us routing suggestions and general support. The parks department was also on board and helped us with a lot of logistics. In my experience, city agencies are kindly disposed to events like these and more than willing to assist—but approach them early in the process, as working with the government can at times be slow going! Harass your board of directors! I’m joking! Mostly. But you should make the time to create personal appeals to your board members, if you’re working with an organization. Also design ways to hold them accountable for fundraising. In our case, we issued a weekly report of who had recently raised money and how much. We didn’t directly single out people who weren’t pulling their weight, but it was evident. We were not as good this time around at engaging our local community. It’s also important to reach out to them through social media and offline methods like flyers so they know they can get involved. And remember to spread the word to different groups: runners and joggers, park enthusiasts, people interested in your nonprofit’s programming… Folks might participate for any number of reasons. Partnerships part 2: The more, the merrier! We used the money we raised with ioby to offer free race registration to students and graduates of our programs, and were then able to extend that offer to other community groups. We also sought out partnerships with local organizations like Rocking the Boat, who gave participants free boat rides after the race, and companies like Coca-Cola, who sponsored our water stations (which featured environmentally-friendly water jugs and compostable cups). Thanks all around. Make sure all participants get some memorabilia at your event like a t-shirt or reusable water bottle, and afterward, take the time to write thank-you letters to everyone. You couldn’t do this without them! Early fall is usually a great time to run, so that’s the time of year we’ve settled into. Spring can also be a nice time, if that works better for your schedule. Get your race date on the calendar as soon as you can. It’s helpful for everyone involved to be able to plan around it as early in the game as possible. Get going on the permitting process in January! It can take many months to secure what you need. Spring is a good time to reach out to food vendors and donors to line up snack tables for several months down the road. Hiring a timing company. You can certainly run a non-timed race and meet many of the same health goals, but serious runners will be more likely to sign up if they know they can place. So we make the investment in bibs embedded with chip technology that record when people cross the finish line. T-shirts—for both runners and volunteers—are a significant cost, but are expected and appreciated, so we do it. All the little things: signage, printing, chartering a shuttle from the subway to the race start… It all adds up! 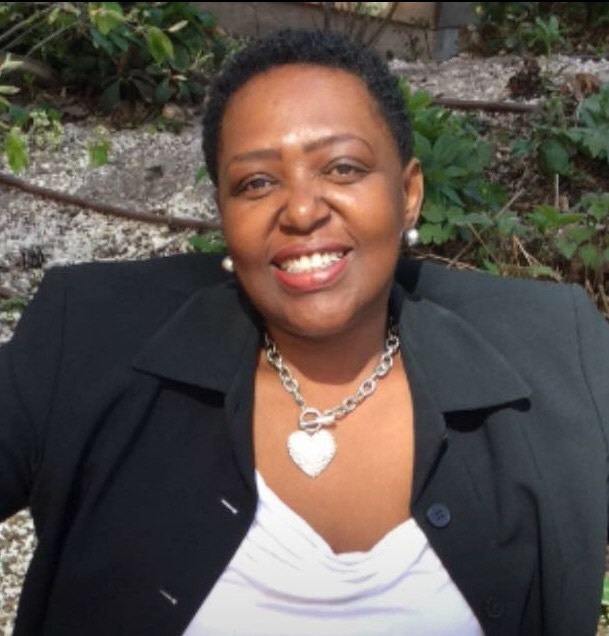 Irene Branche has been with HOPE since 2011. 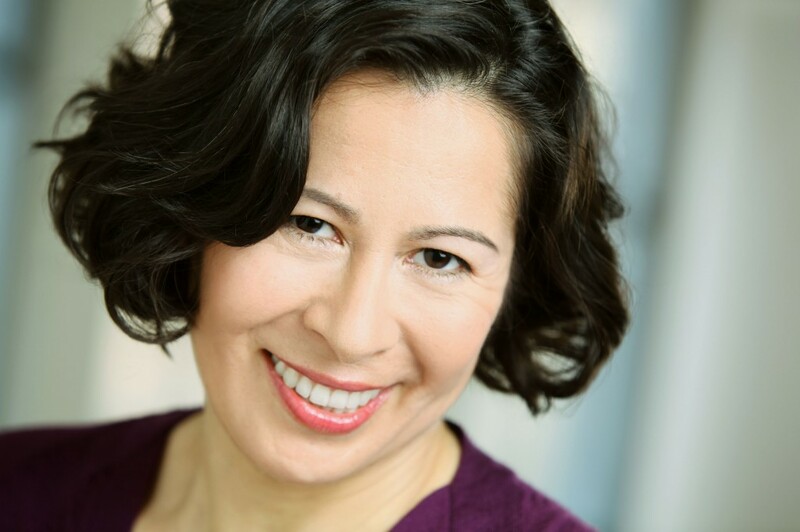 She holds an MPA from Baruch College, a BA in French, and serves on the board of College and Community Fellowship. In the summer, you can catch her walking into the office in her bicycle helmet. Want to start your own project but need some inspiration? Our Learn from a Leader blog series is profiling past ioby Leaders who succeeded in bringing more fresh food, active transport, green spaces, and other healthy improvements to their neighborhoods. Read on, and imagine what you could do on your block! 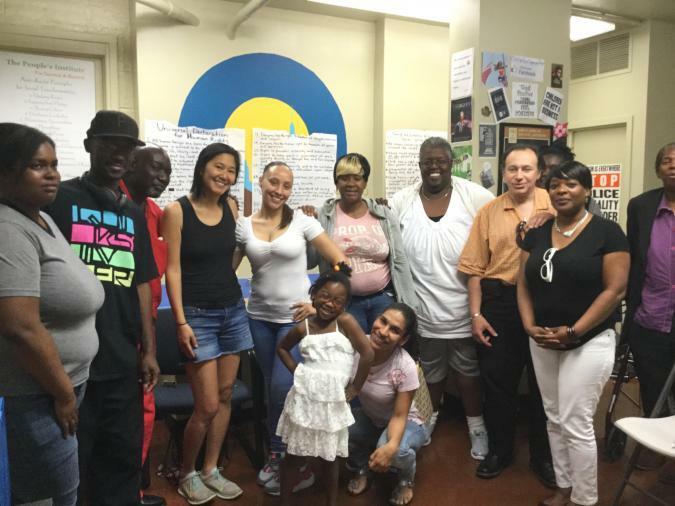 The Child Welfare Organizing Project (CWOP) was thrilled when they heard they could partner with the Food Bank for New York City to feed their community healthy food at no cost. Just one catch: they had to upgrade their kitchen to commercial standards. Joyce McMillan, CWOP’s Director of Programming and Lead Parent Advocate, heard about the partnership opportunity while attending a class about building nonprofit capacity. She knew her organization couldn’t pass up the chance to offer nutritious free meals to the people who participate in their programs, so she took action to get the upgrade started. Get specific. I talked with the Food Bank about exactly what we would have to do to complete the upgrade. It turned out that we needed three sinks, a backsplash, new cabinets, new countertops, some under-sink mounts and lots more! It was a whole slew of things, but once we had our list laid out, it seemed manageable. Bang out a budget. We looked at and priced lots of items online, and then took a field trip to Home Depot to check everything out in person. Naturally, we wanted to get a good price for everything, but we also didn’t want to have to do this project again anytime soon, so we were also in the market for the most durable equipment we could find. Seek help from within. One of the parents who attends our programs works with contractors and construction workers. He was able to help us find a contractor who would give us a break on the price, as well as people who could install everything. He helped us take measurements and shop for everything, too. It’s always good to start with your community when you need help with something, as these people already feel a connection to your work. Diversify your fundraising. When it comes to raising money, however, it can be good to branch out more: you don’t want to wear people out by asking them again and again. For this campaign, I reached out to a few personal friends, but I also asked people who come to our weekly workshops and actually benefit personally from what we do. I encouraged them to give financially if they could, or to at least spread the word to their networks if they couldn’t. We also asked our board and other friends to advertise our campaign on their social media, and we sent some personalized letters, many to former clients. The final key to our success was passing the plate—literally! Remember that some people don’t use the internet, so make sure you offer physical opportunities (in a meeting, at a fundraising party, etc) for them to donate cash or checks. The domino effect. Now that we’ve got our money raised and materials picked out, we just need the old kitchen items to be removed and the new ones put in. And at least one of our staffers will need to pass an online food and safety test. Then the Food Bank will come to inspect the site and make sure we’re ready to go. After all that, we can get back to business as usual—except with better food and more of it! An organization can take a project like this on at any time of year. I have to say the time and effort outputs were minimal—especially with all the strategic help we got from ioby! From start to finish, the project should be done in less than two months. During the first 15 days, we discussed when to do our soft and public campaign launches; the second 15 was our fundraising crunch. Once we have all the new kitchen items on site, the implementation should take less than two weeks. Most of our $5,886 budget went to the kitchen items themselves, but we’re also paying our contractor and workers. Always ask if you can get a nonprofit discount on the goods or services you’re purchasing! Many people offer one. 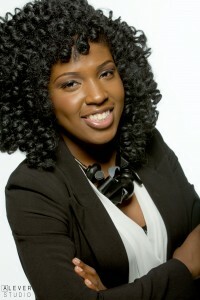 Joyce McMillan is the Director of Programming and Lead Parent Advocate at the Child Welfare Organizing Project (CWOP). Joyce left a position as a team leader at the State of New York after being affected by the New York child protection system; she is now dedicated to transforming the system to better protect and preserve families. She has lectured at The New School, Montclair University, Hunter College, Columbia University, and Harlem Hospital. 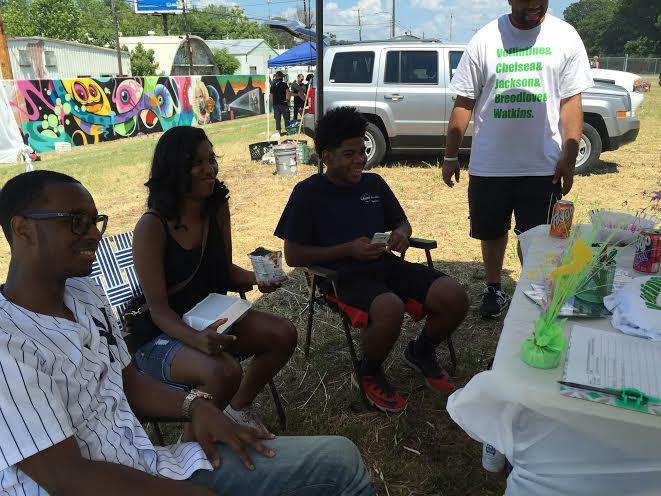 Native Memphian Michalyn Easter made a splash earlier this year with her project Friends of Chelsea Greenline Advocacy Group, which raised close to $2,000 to to give North Memphians an official voice in the development of their neighborhood’s new 2.5-mile greenway. Get (and give) the facts. Many cities have a 311 hotline and website residents can use to request city assistance with issues like trash pile-ups, downed power lines, overgrown weeds, etc. I knew Memphis had a 311 system, but learned more about it when I took a local leader training. When I got the idea to start a monthly phone bank, I created a quick presentation about its purpose and process to share with my neighbors. (Mine is in PowerPoint, but you could make a paper handout, a PDF file, etc.) I make it available to new participants at every meeting. Secure a space. Locate a place in your neighborhood with computer and internet access (or wifi, if you can bring your own laptop) that will allow you to convene a community group free of charge, and make a monthly reservation there. Libraries, community centers, and churches are a few good go-to options. 311 requests can be made by phone as well as online, but we’ve found it’s more fun and social to submit them via the web, since people can follow along visually with the process. Get your heads together. Find a couple of people other than yourself who are willing to be group leaders and moderators. Make sure they’re reliable, well-versed in the ways of 311, and can help other attendees with the process of submitting their requests. So far, at each meeting, we’ve had between five and ten people attend, and made 10 or 12 requests. Spread the word. Make flyers and post them on the bulletin boards of neighborhood watch groups, religious organizations, your host space, etc, to start bringing people out. Ditto on the internet: send Facebook messages, emails, Tweets, etc, to organizations and people you think might be interested in participating, and ask them to spread the word, too. Enjoy! A lot of us like this project because, A) It’s effective, B) It’s low-stress, and C) It’s a nice time for fun and fellowship. Bring a box of donuts, catch up with your neighbors about what’s going on where you live, and repeat next month! Phone banks can—and should!—take place year-round. Some requests are seasonal (mosquito trucks in the summer and snow plowing in the winter), and some could happen at any time (missing street sign, pothole). It took me about three weeks from getting the idea to holding our first meeting—somebody else could probably do it in less! This can be a very quick, “light” project to put together. We noticed that some other neighborhood groups schedule their meetings on weekday mornings, when often only retired people can attend. We do ours from 3:30 – 5:30 pm, which allows more folks to join. Another great thing about phone banking: it is extremely low-cost! OGOR puts $20 toward snacks and juice or water for the group once a month. Sometimes participants will also bring something to share. Since OGOR is a nonprofit, we have access to free printing. But often libraries will let guests print a few pages for free, and even retail printing of your handouts/flyers probably won’t add up to more than $10 per month. Michalyn Easter is a proud Memphis native, and the founder of the nonprofit Our Grass Our Roots, which focuses on progression through informative initiatives in the North Memphis area. 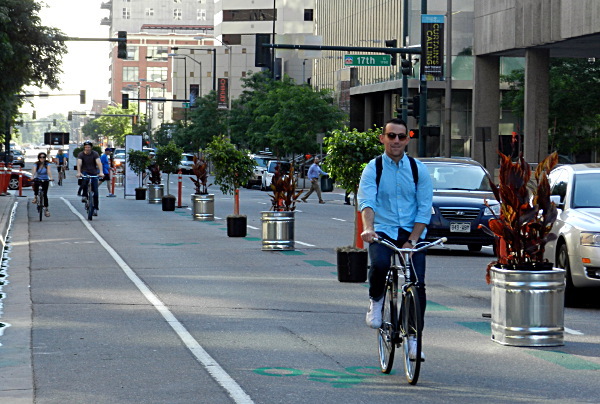 “Initially, the Arapahoe Street Protected Bike Lane project was about creating more facilities in Downtown Denver that would cater to a wider variety of bike riders and improve our city’s general quality of life by getting more people out on two wheels,” says Aylene McCallum, Director of Downtown Environment for the Downtown Denver Partnership (DDP), a membership organization that creatively plans, manages, and develops the heart of this thriving western city. The facilities she speaks of included a network of enhanced bikeways (also known as protected bike lanes) centered in the Downtown area that would radiate outward and improve connectivity within and between neighborhoods. The DDP approached the city and proposed a plan: the DDP would identify the top several corridors that could benefit from protected lanes, and the city would implement them. 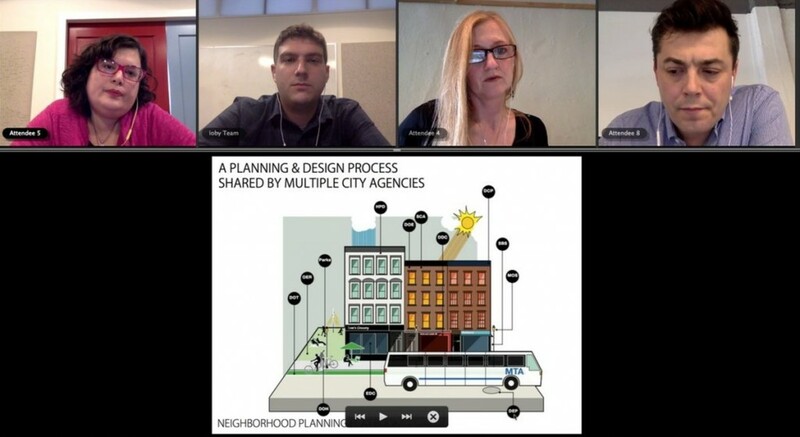 The city was interested, but wound up wanting to switch roles: the city would do the research and planning, and DDP would handle implementation. It was a deal! Network for your project. You network when you’re looking for a new job; you should network to help get your project off the ground for all the same reasons. Approach local bicycle advocacy groups, your city’s parks and transportation departments, community groups and business associations in the neighborhoods around your proposed bike lanes, local representatives… Try to gain their interest and support, but also be sure to ask each one: Who else should I talk to? I try to get three other contacts each time I ask that question. $$$! At some point, you’ll need to start crowdfunding. Make sure you dot all your I’s and cross all your T’s throughout this process: that means things like taking the time to read tutorials and attend trainings, and making sure you understand all the tools at your disposal. 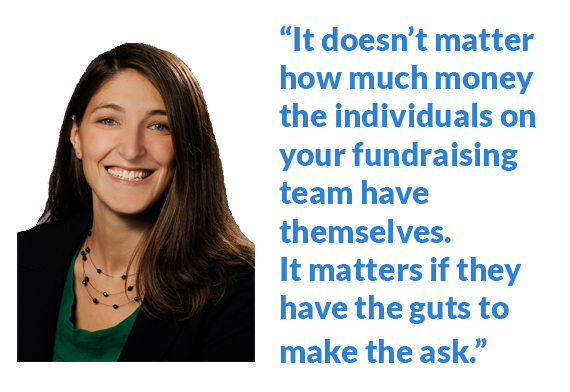 Then, spend some time mapping out your fundraising strategy. Think it through from A to Z, and have plans B and C ready to go in case something goes awry. Think about why people would donate to your project, how you’ll communicate with them, how you can make your outreach feel different every time, how to create a sense of urgency… ioby provided us with a very useful worksheet that helped us plan everything out and set our expectations appropriately. Just do it! A project like this that involves multiple stakeholders can seem intimidating, but your project simply won’t happen if you don’t act—and you definitely can’t raise money if you don’t ask! Once you have your idea refined, your strategy in place, and some good people confirmed on your team, there’s nothing left to do but go for it! Regarding the start-to-finish time you can expect to get a bike lane in place, every city is different, so definitely ask around to make sure you form reasonable expectations. (Your funders will ask about your timeframe, too, and you’ll want to give them a sound estimate!) It took the DDP five years from start to finish to get our first protected bike lane in place, but the second one only took 12 months. Fundraising is much easier to time. You should probably plan for a six-to-eight week “live” period—whether you’re trying to raise a few thousand dollars or $100K. Take as long as you need to get your strategy mapped out, but once you launch, keep the pace snappy and always show that the end is in sight. Donor fatigue is a real phenomenon!, and taking too long will breed skepticism. Again, every city is different and the extent of every project is different. We worked with both the city and ioby to hone our budget, then ran it by a bunch of our constituents before we publicly launched. You also definitely need to talk—and keep talking—to your stakeholders to make sure they think your budget is realistic and they’ll stand behind it. If your nearest and dearest aren’t willing to do that, you shouldn’t expect others to! ioby’s training materials helped me focus my existing organizing and crowdfunding experience. They really gave me confidence! People for Bikes. This national organization has a ton of resources on their website, which can be particularly helpful if you don’t have a strong local organization to turn to. 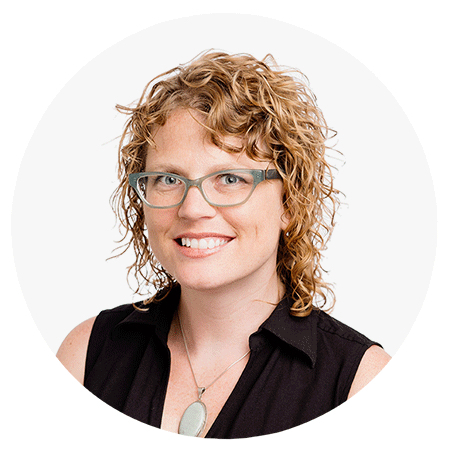 Aylene McCallum has been working to transform Denver’s transportation landscape since 2003. 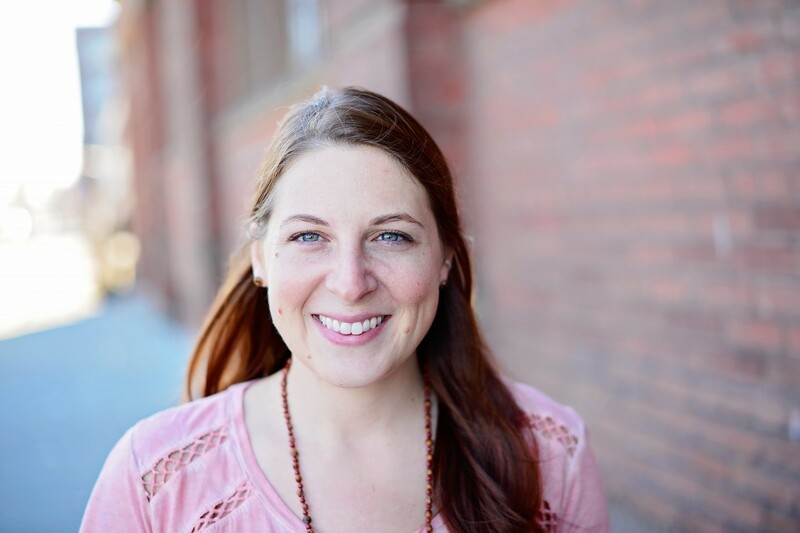 She lives in SE Denver with her husband, two kids, and two dogs; her multi-modal life includes balancing family hikes, bike rides, and train trips to various kid-friendly locations.